Talos, a Spartan boy born crippled, abandoned by his parents and destined for an inglorious future, manages to become a commander and save his city from the Persians. Diomedes, the last Homeric warrior to return home after the Trojan War, betrayed and hated by his wife, must escape from Argo and search for a new home in the inhospitable regions of Hesperia. Xeno, a young Athenian who enlists in the army of ten thousand Greek mercenaries hired by Cyrus of Persia, almost in spite of himself becomes at the head of the survivors, and will go to any lengths to bring them home alive. 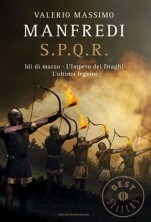 In the captivating prose of Valerio Massimo Manfredi three great heroes of ancient times are brought memorably back to life. 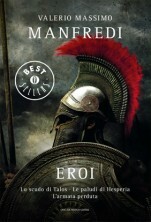 Three great novels – Spartan, Heroes and The Lost Army – in which the imagination of the novelist is sustained by the scholarship of the archaeologist, to create a fascinating and much-loved trilogy.